The Rebel Sweetheart. 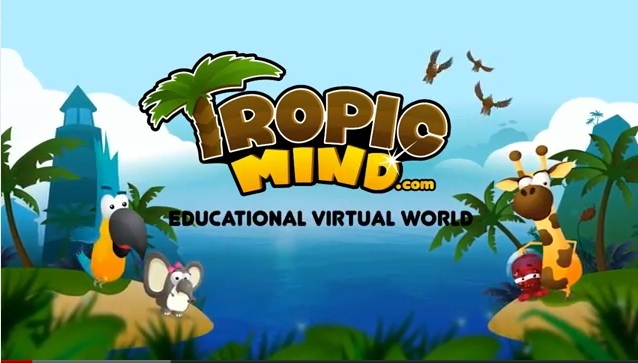 : Back to School Blast | Win a Tropic Mind Membership Package! Back to School Blast | Win a Tropic Mind Membership Package! hosted by This Flourishing Life, Tailor Made Momma, and Generations Of Savings. This event features items for all of your back to school needs. Each blog participating is giving away a prize or prize pack with a minimum value of $25, and the hosts are giving away prize packs with a total value of $1000! This event runs from August 1-14, 2012. A few weeks ago, I had the chance to review and feature Tropic Mind, an educational website that covers an array of topics. There's Math, Physics, Biology, Anatomy, Health and Nutrition, Ancient History, Astronomy, Ecology and the Environment, and a whole lot more. These topics are discussed in a fun and unique manner - either through an educational cartoon, an animated game, or both. 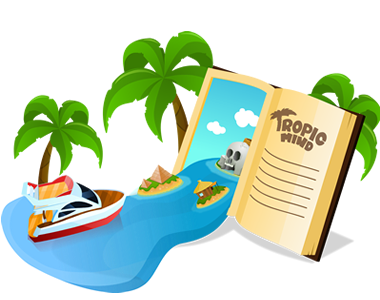 Your Tropic Mind experience is made even more fun and engaging with these cute characters. Parents are rest-assured that all content found in the site are appropriate for kids. Uploaded material and created items are strictly-monitored, while comments and messages go through a language-filtering system prior to posting. My three-year-old loves this site so much, and I'm glad that we've been given the chance to experience this website firsthand. Most of the topics are appropriate for children aged 6-12, and if you have kids within this age range, then you're in luck! Tropic Mind is giving away a free ONE-YEAR MEMBERSHIP to one lucky winner! Valued at $49.95, this paid membership allows you to enjoy more games, more lessons, and make the most out of the site. And do visit the other bloggers who are also part of this event. They also have great prizes in store for you! 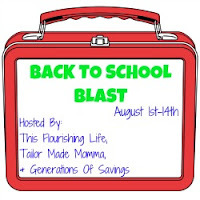 Grand Prize: This Flourishing Life, Generations Of Savings, and Tailor Made Momma are all hosting the grand prizes on their blogs. They are featuring prizes totaling $1000 in back to school gear for all ages. Head on over to their sites to enter! Disclaimer: Please note that the Back To School Blast hosts and participating bloggers are not responsible for sponsors that do not fulfill their prize, but we will make every effort to help the winner in obtaining it. The characters remind me of my Childhood. I am glad to know that there are websites that's child friendly. We need more parental security in websites nowadays. This is a really a great website for parents who have kids. Their kids could learn even when they are not in school by just simply logging on the website. Sounds like a wonderful site, thanks for the chance to win.